This early morning message made our day. 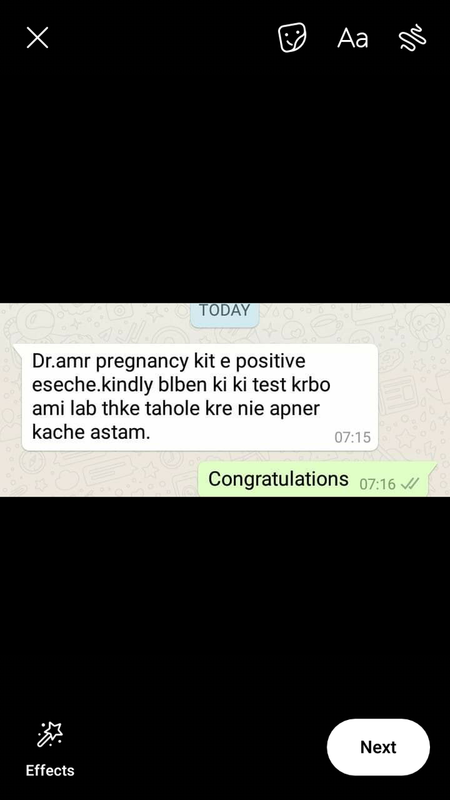 If a lady is diabetic, it needs lots of preparation before and during pregnancy for safety of the mother and baby during pregnancy. Uncontrolled Diabetes can lead to Miscarriage, congenital abnormalities of the baby (specially in heart, brain and spine), growth problem and sudden unexplained death of the baby before delivery. For mother, there is increased risk of high blood pressure (Preeclampsia), kidney damage, eye damage (Retinopathy) and Nerve problems (Neuropathy)..All these risks can be minimized by proper steps taken before pregnancy. 1. Like other woman, check for blood group, Thalassemia (if not done before) and Rubella status (if needed, vaccination). 2. Control sugar tightly before pregnancy. The target HbA1c level in blood should be less than 6.5%. Fasting and PP (after meal) sugar should not exceed 95 mg/dl and 120 mg/dl respectively. Pregnancy at higher sugar level carries high risk for abnormalities to baby. 3. To start safer anti-diabetic medicines after consulting Diabetologist. 4. To start Folic Acid high dose at least for 3 months before pregnancy to reduce the risk of abnormalities in baby's brain and spine. 5. To have eye check up (for Retinal Examination). If retinopathy is present, it must be treated BEFORE pregnancy. 6. To have Kidney function test (blood for creatinine and urine for protein leak). If these are abnormal, these must be treated BEFORE pregnancy. 7. If she is on any medicines for high blood pressure, the medicine must be changed to safer medicines. This must be done after consultation with doctor only. 8. If she is on any medicines for high cholesterol or for weight loss, these must be stopped after discussion with the doctor. 9. Weight control before pregnancy.